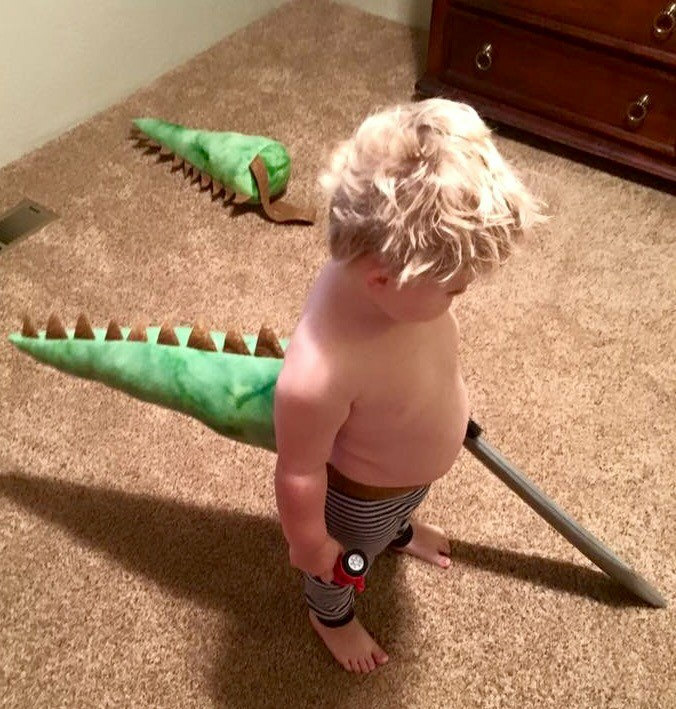 Below are some ideas for dinosaur party games and activities for kids of all ages— perfect for a dinosaur themed birthday party. If you'd like more birthday ideas including suggestions for party invitations, food and drink, and decorations, see my Dinosaur Party Ideas page. If you have a sand pit, bury some bones in advance. 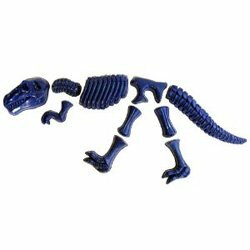 You could use this dinosaur bones mold (below left, from supplier 3) and fill with plaster, or just these these cheap dinosaur skeleton toys (below right from supplier 5). 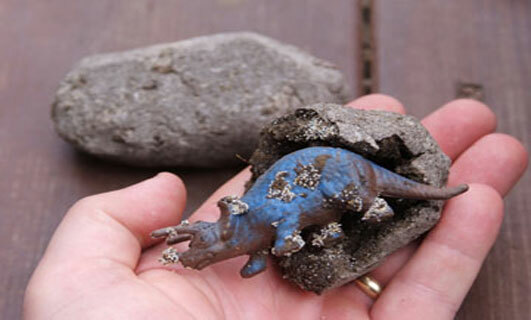 The great thing about the mold is that it's actually meant for use in a sand pit so you can also create these great dinosaur impressions (below) in the sand too, which look really impressive. When you start your dinosaur party games, give the kids plastic hand shovels and paint brushes to excavate the dinosaur bones. 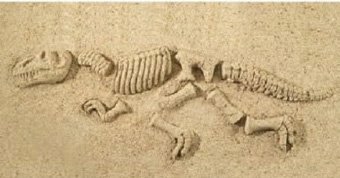 As soon as they touch a bone with their hand shovel they then have to use the paintbrush to smooth away the sand in order to excavate it delicately. If you don't have a sand pit just burry them in buckets of sand. Just don't forget to make a note of how many you buried so you know when they've all been found. 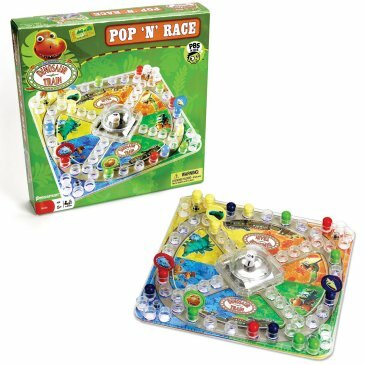 Turn a classic party game into one of your dinosaur party games. 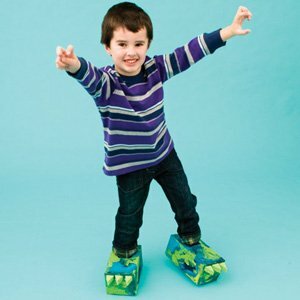 Make a couple of pairs of these dinosaur feet using tissue boxes (below, from Family Fun) and have the kids run dinosaur egg and spoon races in them to slow them down. 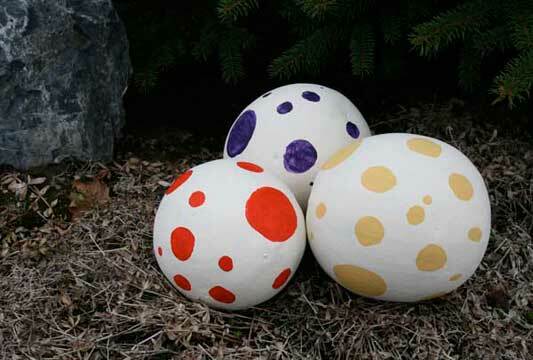 No dinosaur party games would be complete without a dinosaur egg hunt. 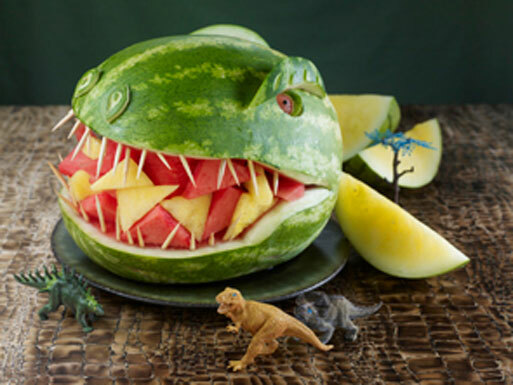 Check out this great tutorial that shows you how to make amazing dinosaur eggs by painting mini watermelons (below, by Debbie at Wants and Wishes). Once you've made them hide them around the garden and play hunt the dinosaur egg. For younger kids take a photo of the egg before hiding it and have each child look for a different colored one by showing them the photo of it. 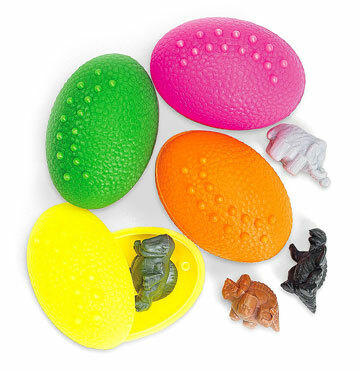 For a quick and easy alternative, just hide these plastic eggs with dinosaurs inside (from supplier 1) around your house and garden for the kids to find. 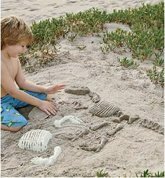 Make your own fossils (below, by Preschool Rock) ahead of the party by following this step by step guide, then hide them all around the party for the kids to find. Have a competition to see who can find the most with a special prize for the winner. Even if they don't win, the kids will love cracking them open to find the dinosaurs inside. 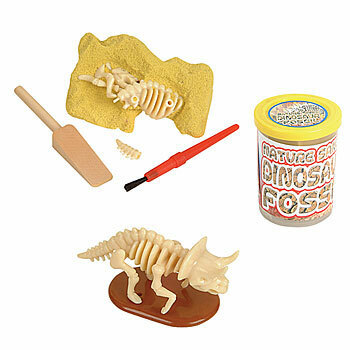 If you want to make this a little more educational and authentic to teach the kids about paleontology, you can pick up a fossil kit like this one below from supplier 2, which contains dinosaur bones to be excavated (rather than using plastic dinosaurs like the ones above). Print off illustrations of different dinosaurs from the internet ahead of the party. On the day hang a roll of brown butcher's paper on the wall and draw some prehistoric scenery on it, i.e. rocks, palm trees, volcanoes etc. 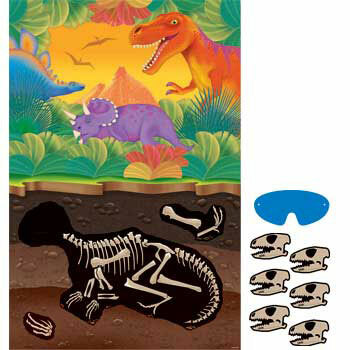 Then have each child color in one of the dinosaur illustrations and arrange it on the 'cave wall'. Do this in a garden shed or a room where you can dim the lights and have them use a lantern to simulate being in a cave. 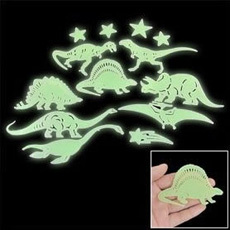 Add some of these glow in the dark dinosaur stickers (see supplier 3) to the scene too - kid's love anything that glows. 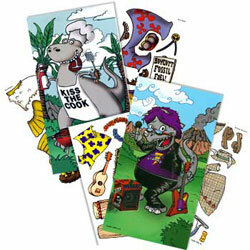 This variation of 'Pin the Tail On' (see supplier 3) includes the game poster, blindfold and 12 dinosaur heads so the kid's can play Pin the Head on the Dinosaur. 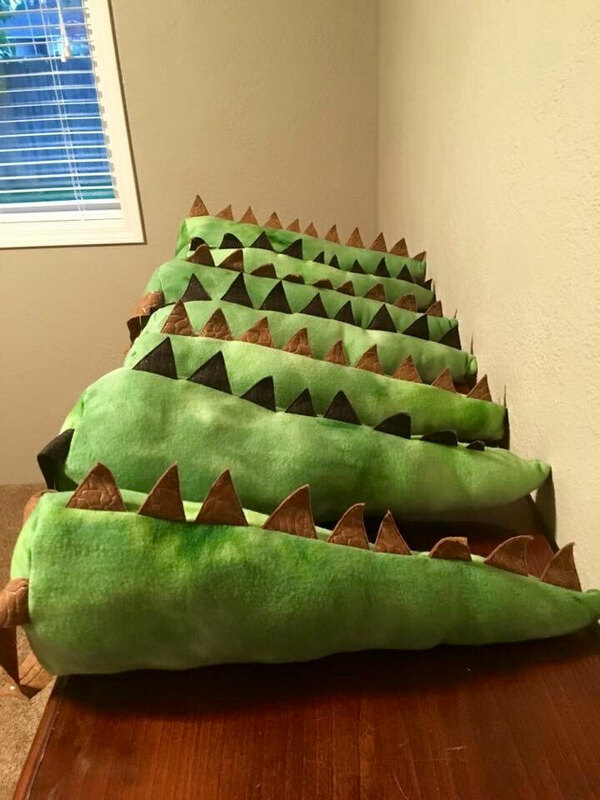 Check out this tutorial by Jessica from Running with Scissors for how to make these cute tie-on dinosaur tails. 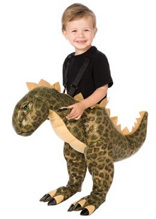 Arrange a number of dinosaur themed props of different weights (inflatable dinosaur, dinosaur egg, palm tree etc.) on a plank of wood propped up at each end on a few books. 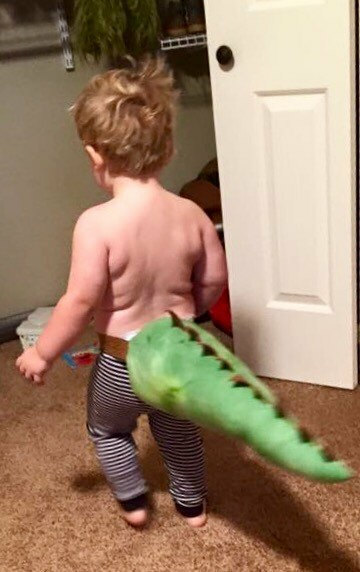 Then have the kids take turns to wear the tail and see how many of the objects they can knock off the plank in 30 seconds while blindfolded and whipping the tail at them—no hands allowed. 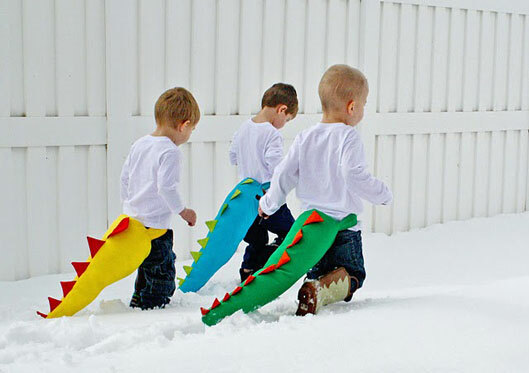 Update: You can now buy dinosaur tails similar to the ones above, see below, from supplier 4. 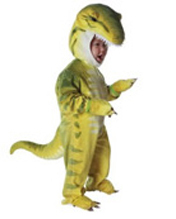 There are some cute dinosaur costumes available from supplier 1. If you pick up one you could set up a little photo area at the party for each child to take turns dressing up in the dinosaur costume to have their picture taken. 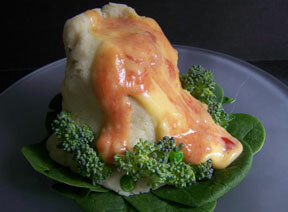 Have them peeking out from behind two tall plants or the bushes in your garden. You could print the photos off and let them take them home—or send them out with your thank you cards. Alternatively, you could use this dinosaur themed stand-in prop from supplier 2 or these cute photo booth props from supplier 4. For younger kids, get them to make these simple dinosaur sock puppets (see video below). 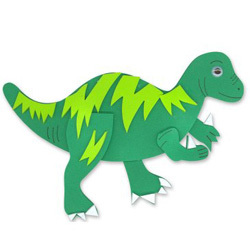 For older kids, try making this origami dinosaur (see video below). Coloring is a simple activity that's perfect to keep kid's occupied at the beginning of the party while waiting for everyone to arrive. 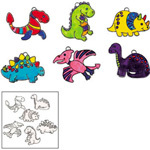 These miniature dinosaur coloring books (below left) are a great budget option at $1.99 for 12, alternatively you could use this color your own dinosaur (below center) or these cute color your own sun catchers (below right). See supplier 3 for these. 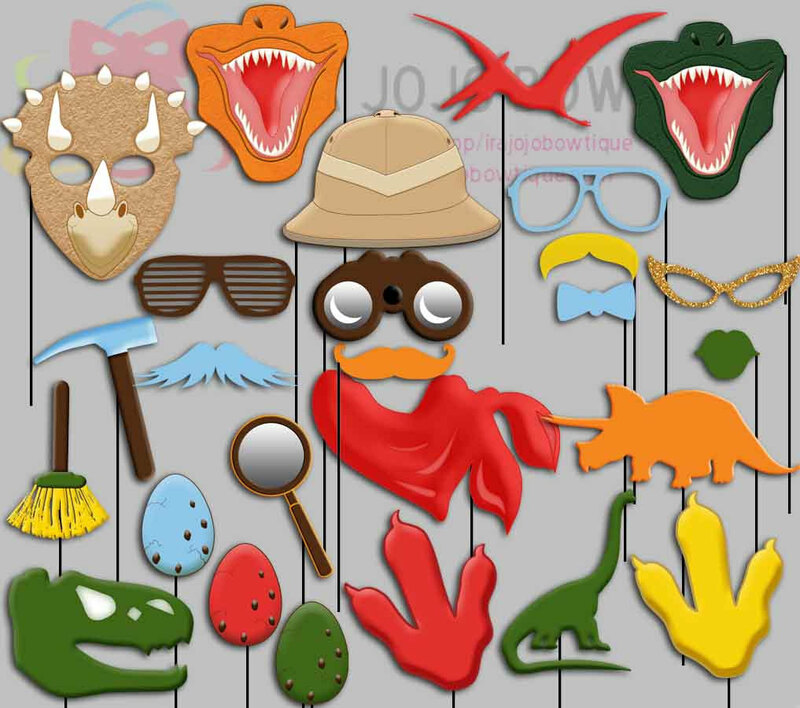 Similarly, these foam dinosaur craft activities (below left) or these 'dress up your dinosaur' sticker sheets (below right) are cheap and easy activities which could also be a handy addition to your dinosaur party games if it's a rainy day. See supplier 3. 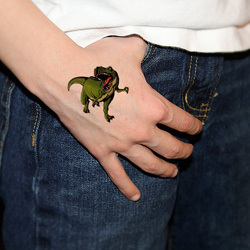 Kid's love tattoos and stickers, so hand out some of these during your dinosaur party games. 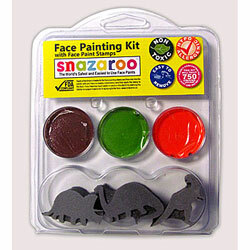 You can also use this simple dinosaur face painting stamp kit. See suppliers 1 or 6. 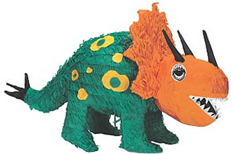 There are lots of different dinosaur pinatas from supplier 1 and 2, including 'cute' ones suitable for younger children, which always go down well at a party. 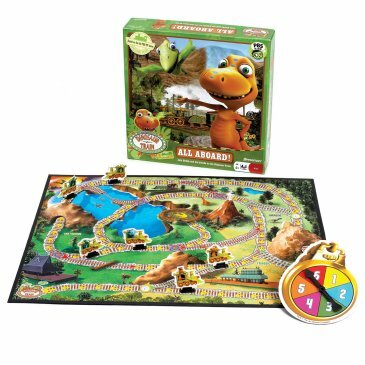 There are also some dinosaur themed games that are quite cheap from supplier 3, such as these Dinosaur Train games below. 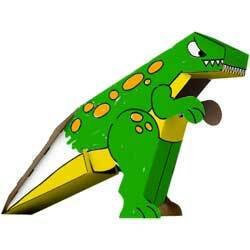 If you have your own ideas for Dinosaur Party Games share them with other party-ideas-by-a-pro.com visitors. Email me a description of the game or activity and I'll add your ideas to this page for other readers to read. 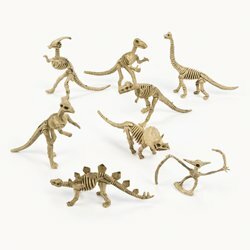 If you have any photos of the game being played, perhaps at your own Dinosaur party, please upload one or two of these too. Use the form below to submit your Dinosaur party games or activities. Remember to describe all the rules of the game. Do you have some pictures from your own party, showing the game being played? Click here to see the rest of the form to submit your party game. 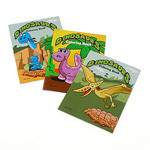 For more party ideas to go with these dinosaur party games, check out my main dinosaur page.